Beautifinous. 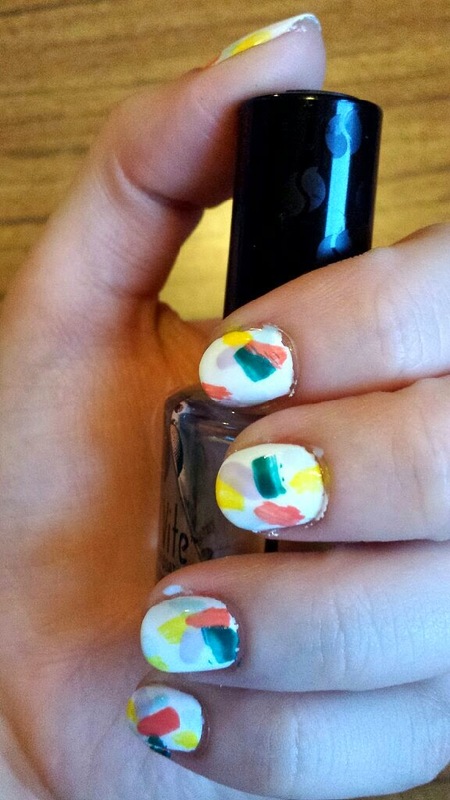 : Nail art in 20 mins! I thought that I would switch things up for today's post. Instead of reviewing a product, I decided to show you a very quick and easy nail art that you can fit into a spare 20-25 mins! 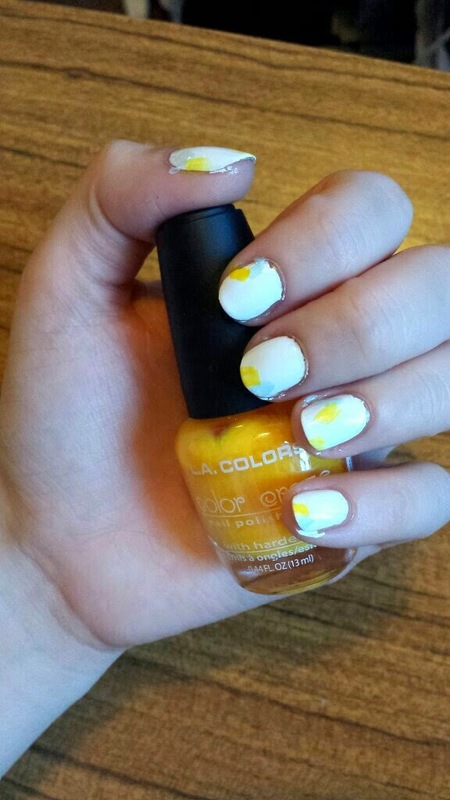 It is also very spring-like so your nails can fit the season, even though you don't have much time! My target was to get this design finished during little man's nap time and I succeeded! First of all, I would like to make a quick note: When I first started this design, I attempted (badly) to take photos whilst I painted the first colour coat. As you can imagine, it didn't go well. Therefore, please do ignore the mess around the nails during the step-by-step photos! I can apply nail polish neatly... honest! Choose a base colour. I chose white. 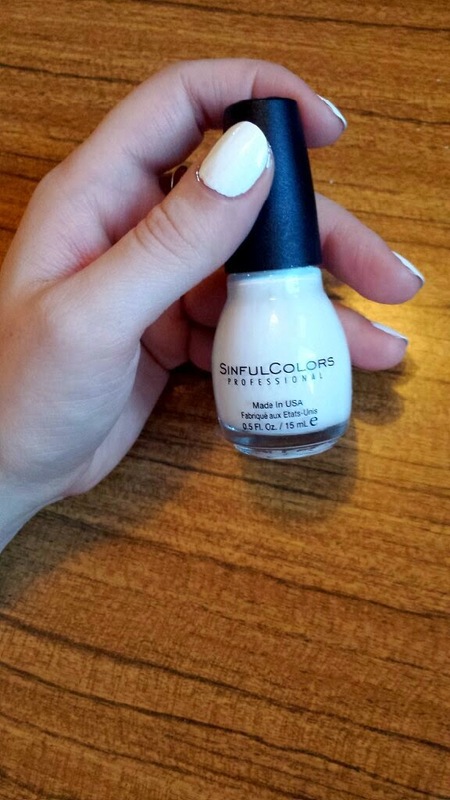 The white I used was Sinful Colors - Snow Me White. The reason I like this white is that most of the time you can manage an opaque look with just one coat! I love me a one coater as it saves SO much time. However, occasionally you can still have some streaks left behind. If so, wait until your nails are dry to add a second coat (will add time to the original 20 mins stated). When the base colour is dry enough, pick one of the five flower colours. 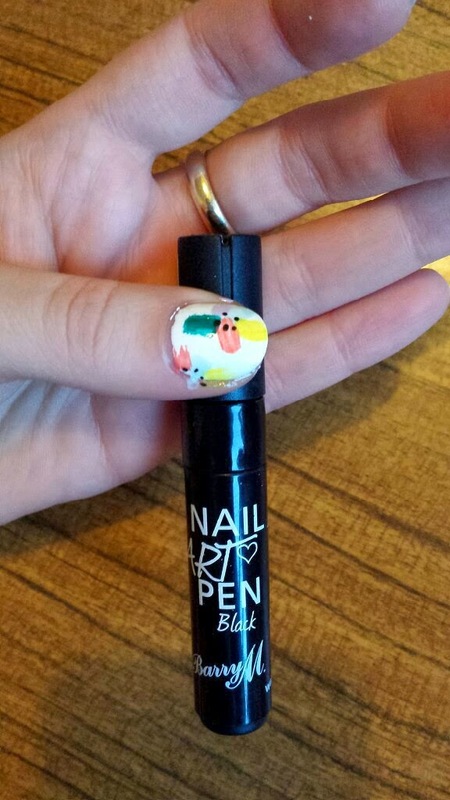 Apply a tiny stroke onto the first nail (don't worry if it looks messy! With this design, that is kind of the point. The stroke marks make the design! 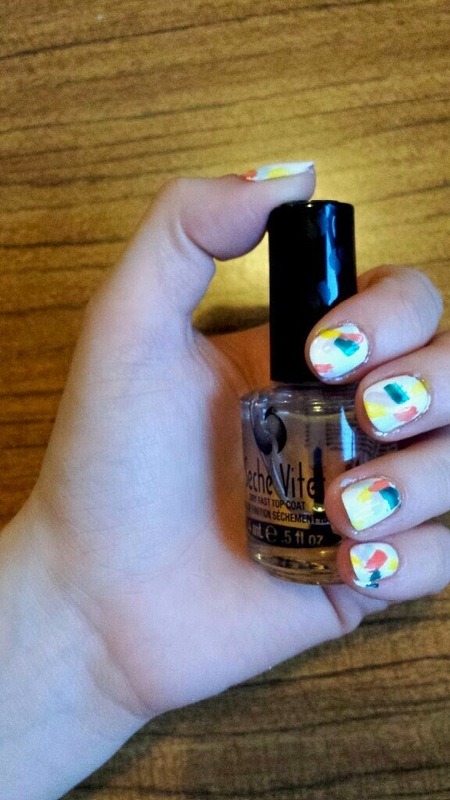 That's why this design is so good for a speedy paint), then apply a tiny stroke onto the next nail. You can add two on one nail if you like. It will depend on the length of your nails and how much space you have! 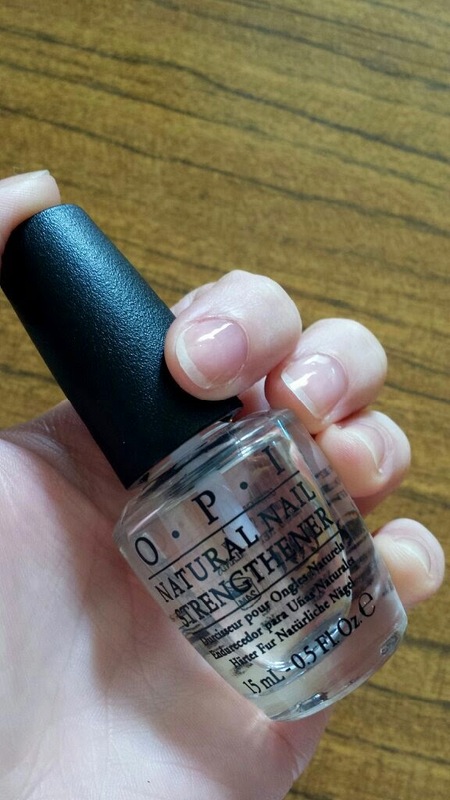 If you have longer or wider nails, you may be able to fit more flowers. Continue until you are satisfied with the first colour placements on each nail. Repeat step three. This time, instead of using the first of your five flower colours, use the next colour. Apply it next to the colour you used previously. You are aiming to get the tiny strokes into some kind of circle. Remember that it is a flower! After using the second colour, use the third, then fourth and finally the fifth. 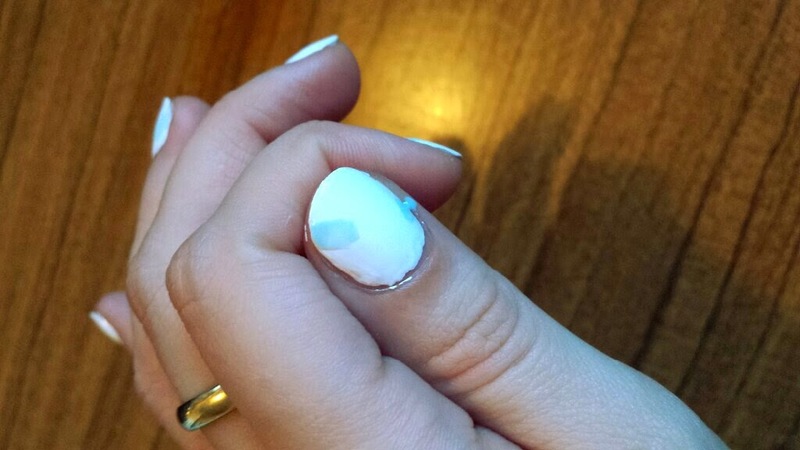 This step is probably only necessary if you are using a dry fast top coat. It speeds up the process! Also, I find that the Barry M Nail Art Pen works SO much better when applied onto a top coat. Whenever I apply it straight to dry nail polish, it always goes streaky or sticky and dries awfully. Apply it on a top coat and it works like a charm! 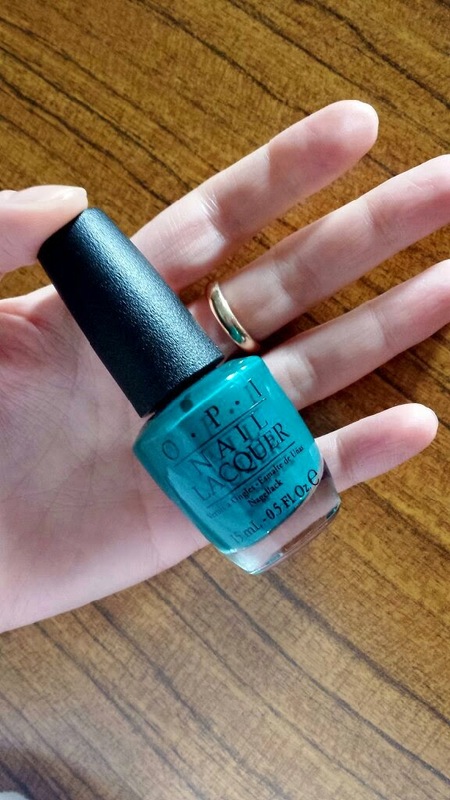 If you are applying a different kind of top coat and decide to skip this step then you need to wait until your nails are dry (will also add time onto the 20 mins). Use the pen to dot a few tiny dots in the centre of each flower. Apply the paint/varnish to a palette/surface/bowl (I have a tiny palette, but in the past I have also applied cling film to a surface and dropped a tiny dot of paint or polish onto it. It's super easy to clean up this way! Just rip the cling film off when you are done and throw it away) and get your dotting tool ready. Dab the dotting tool into the paint/varnish and dot a tiny dot into the centre of the flower. When using a dotting tool, you get the best results from refreshing the paint/varnish after each dot. If you continue to dot with the same dip of paint, you tend to get smaller dots each time (which works fantastically for different nail art designs!). Therefore, unless you want different dot sizes, remember to refresh your dotting tool colour after each dot! If you made any mess like me, wait until your nails are dry and give them a little tidy! Apply a hand cream and cuticle cream and you are good to go! 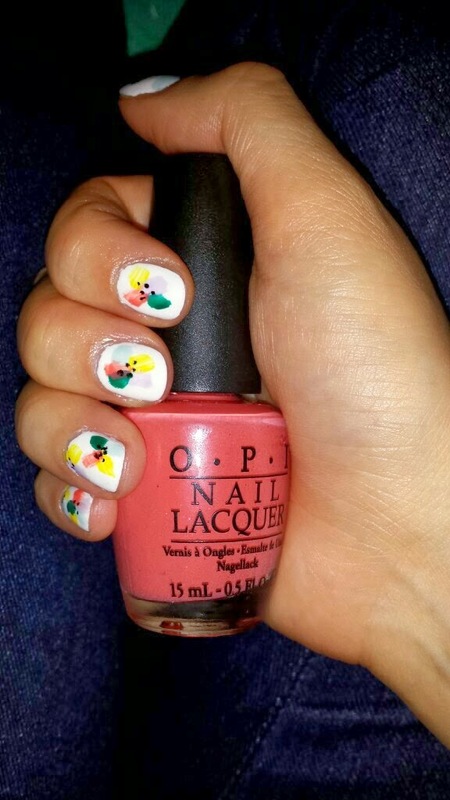 If you use an opaque base colour, dry fast top coat and a nail art pen then you should be able to achieve this design in 20 minutes. If you need a second coat of your base colour, don't apply a dry fast top coat and use a dotting tool, you will be looking at more double the time. Also, if you paint your toe nails, you are looking at doubling your time there too.